PVEP has created and developed a managerial framework for science & technology practice. Another significant progress is the establishment of the Science and Technology Development Fund, purposed to invest in this field to boost the mastery and competitiveness of PVEP in oil industry through research and development, application of state-of-the-art technology. PVEP also expects to expand cooperation with top petroleum technical service partners to accompany in specific projects and promote exchanging and sharing experience, knowhow and benefits. Over the years, PVEP has enthusiastically joined organizational science & technology activities, domestic and international. We have acquired membership of multiple international associations of petroleum science including SPE, SEG, AAPG, SEAPEX, APSC etc. 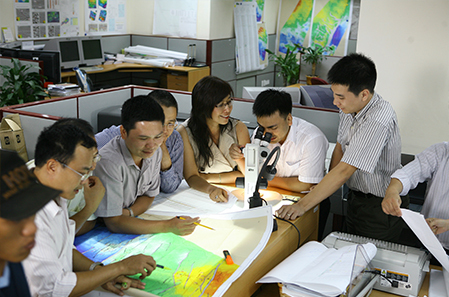 PVEP has also held and participated in numerous scientific and technical conferences and workshops. We are proud of implementing several studying project of the State and ministerial levels.